We often talk about design in terms of end products, but sometimes it’s better to think about design as a process, as a way of thinking. Design thinking is becoming increasingly recognised as a powerful process for creatively exploring the challenges of the 21st century, beyond the traditional realm of designing products. Think Outside is an annual talk series inviting local, national and international design thinkers to contemplate a ‘wicked problem’ outside their area of expertise, offering new and unexpected solutions for discussion. 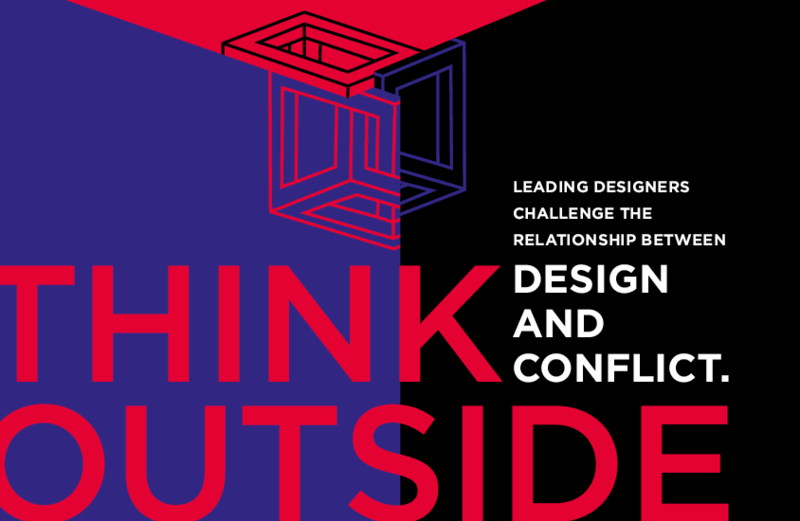 This year’s theme looks at Design and Conflict. We’re curious to explore what happens when powerful minds are challenged to think outside their comfort zone and apply their way of thinking in new contexts. At each talk, speakers will have 15 minutes each to be as provocative and evocative as they wish, prompting thoughtful discussion within the theme. This will be followed by a moderated discussion between the speakers and the audience. Speakers include Susan Freeman from Freeman Ryan Design(Sydney).